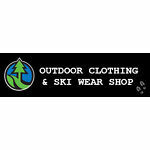 Offering great value on outdoor clothing and ski wear from Regatta and Dare2be. Find some real bargains in men's, women's and kid's clothing. Check out our latest ski wear and accessories listings. Boy's Regatta 'Patriot' Waterproof 3-in1 Navy Jacket. Mens dare2b 'Blackout' Black Ski Wear Salopettes/Pants. Men's dare2b 'Backout'' Ski Wear and Winter Jacket. Womens dare2b 'Vault' Blue Ski Wear Jacket. MEN'S DARE2B FUSELINE DARK TANG MICRO STRETCH FABRIC FLEECE. WOMEN'S DARE 2B 'FREEZE DRY' BLACK MICRO FLEECE TOP. Men's Regatta 'Geo V' Brown Zip Off Trousers. Leg 33". Women's Regatta 'Thor III' 'Classic Red' Fleece. BNWT. Men's Dare2b Thermal Zip Neck Black Base Layer Top. WOMEN'S DARE 2B FREEZE DRY II ELECTRIC PINK LIGHTWEIGHT MICRO FLEECE TOP. Women's Dare2b 'Freeze Dry' Micro Fleece Top. WOMEN'S DARE 2B FREEZE DRY II PERFORMANCE PURPLE LIGHTWEIGHT MICRO FLEECE TOP.